The Atlanta Business Chronicle has named BrightWave CEO Simms Jenkins as a finalist for the 2018 Small Business Person of the Year Awards. In total, the publication chose 20 business owners in seven different categories ranging from early stage entrepreneurs to experienced experts. Jenkins will be honored in the Experienced Entrepreneur category, specifically. Finalists for Small Business Person of the Year must demonstrate exceptional business results according to a number of criteria and make an impact in their local Atlanta community. In addition to financial success, the finalists are expected to achieve many other measurable growth objectives, increase their workforce, build market awareness for their product or service and more. Simms Jenkins founded BrightWave 15 years ago. The award-winning firm has shown rapid growth every year since, with its founder working to establish a world-class client list including Aflac, Synovus, Chick-fil-A, Cox Media Group and Ferrari. During his time with BrightWave, Jenkins has authored two definitive and highly regarded books on email marketing, “The New Inbox” and “The Truth About Email Marketing.” Today, he is regarded as one of the leading experts in the email marketing industry. He regularly speaks at major digital industry and general business conferences and even hosts his own annual email extravaganza known as EiQ: The intelligent email gathering. In a recent Q+A where the Atlanta Business Chronicle asked for Simms’ advice on entrepreneurship, he said, “Aggressively become a thought leader and industry disrupter. Writing content, speaking at conferences and being positioned as a subject matter expert will pay off in the short and long term. Leveraging your offline and online presence and networks are the sweet spot and it is no longer a luxury or secondary soft skill as today’s leaders need to build personal brands that drive business and real results.” Check out the full questionnaire here. 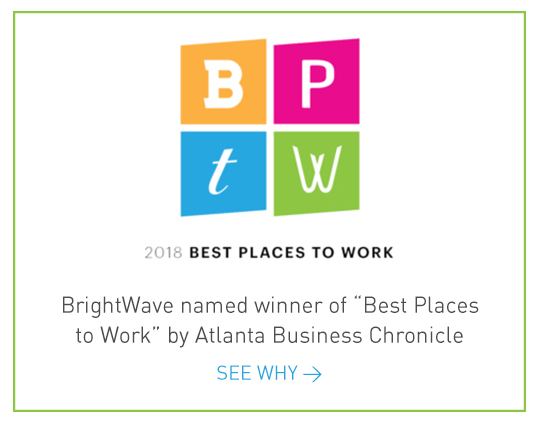 Earlier this month, the Atlanta Business Chronicle recognized BrightWave among the top 10 “Best Places to Work” in Atlanta, further confirming Jenkins success as a local business leader and mentor. 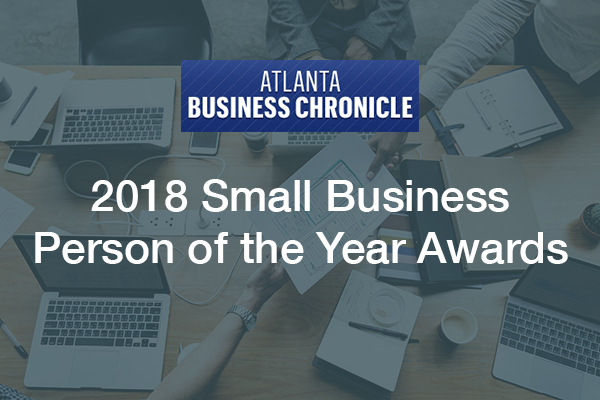 The winners of the Small Business Person of the Year Awards are scheduled to be announced on September 20, 2018 at an awards event at the Atlanta Botanical Garden.